Where can one discover the chief corner of the King James Version (KJV) Holy Bible of 1611? First, the year 1611 computes to the number nine (1+6+1+1 = 9). As you may know, the number nine is a vibrational tone that complements the vibrational tone and cosmological science of the number 13. These scientific vibrational tones (9 x 13 = 117) are associated with one of the four winds pa neter Tehuti, whom the ancient Hebrews ('ibree) called YAH or IAH. In the land of the Lords or Gods (Ki.En.Gir), Yah was called Ea or Ayah that is to say "existence." The book of Psalms chapter 117 (9 x 13) is the center "chief corner" of the KJV. It contains 66 books, which has 39 books in the OT and 27 books in the NT. This numerical composition is precisely the differential spin of the Sun at its poles and at its equator respectively. The common denominator here is the number three, which then simplifies the KJV to the vibrational tones 13 and 9 accordingly. The product of 9 x 13 is 117, which happens to be the composite vibrational tone for the words NUWAUPU and DIVINE LOVE. As I have taught throughout the years on this orb you call Earth (eridu), the word NUWAUPU or NUWAUBU comes from the medu neteru word wbnw (wabanoo), that is to say "to rise in radiance." In symbolic quantum mechanics, this would render Energy = MC^2 = 13 x 3^2 = 13 x 9 = 117 = NUWAUPU (Sound Right Reason) in operation. How can the center be the chief cornerstone? 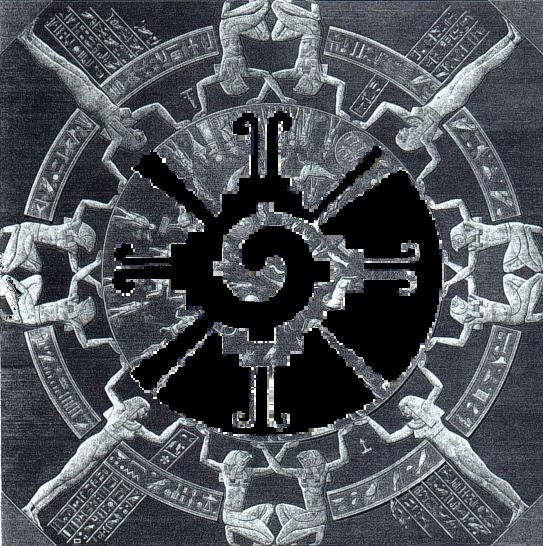 The center is the apex or summit (Atun-Re) of any sound structure and it can also be the nadir (Anun-Re) of any sound structure when mirrored or "arched" in consciousness. The mystery of god is finished! Last edited by Pa Neter Ra; at 12:10 PM..
By what other attribute(s) was Yah or Iah known? Yah or YHWH (yahuwa) in vibration carries the significance "I am." The idea can be restated as I-M, which expresses the vibrational tones 9 and 13 respectively. In the English sound system, the letter I is 9th in position and the letter M is 13th in sequence. The concept I-M (9 x 13) expresses the work of Yah or Yahuwa (Existence) in a way that allows a good person to re-connect with the dynamic aspect of reality. Beauty is at the heart of the original man's perception of the world. As one inverts (turns inside out) the containment process and define substance in terms of value obscurity vanishes (YHWH = HWHY = Huhi). The mystery of God is finished! In Love, Truth, Peace, Freedom, Justice, and Beauty. The Great Peace Society of Royal Serpents. Last edited by Pa Neter Ra; at 11:09 AM.. Question: What is the significance behind the composition of KJV Holy Bible and the differential rotation of the Sun? According to chapter 45 of the Circle 7 Koran, the fallen sons (Ben) and daughters (Banah) of the Asiatic Nation of North America need to KNOW their higher self and lower self. The higher self is human spirit donned with soul; whereas the lower self is the mirror image of the higher self. The differential rotation of your Sun shows that it is turning inside out. Mathematically, this solar action has manifested in the biblical testimonies as the OLD TESTAMENT (39 Books, polar spin, 39 days) and the NEW TESTAMENT (27 Books, equatorial spin, 27 days). Question: Where else can one discover other links associated with the KJVHB composition and differential spin of the Sun? Integrated in the arrangement of the Earth’s grid pattern. As a mathematical ratio, 39:27 or 27:39 reduces to the ratios 13:9 or 9:13 respectively. These ratios run parallel with contemporary science investigation into the energy grid, which is not unique to this planet you call Earth (eridu). 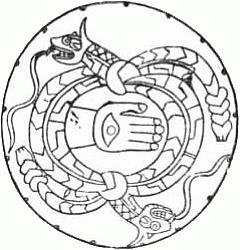 The origins of this knowledge can be found in the unified worldview of the Tutul Xiu or Amaru Chan (Olmec) of ancient Anahuac (Mexico). 13:9 = 1.44 ad infinitum (light pulse, post heaven, manifested creation). 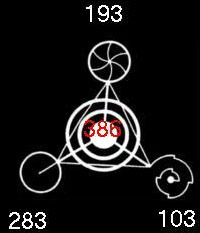 9:13 = point 692307 ad infinitum (shadow pulse, pre-heaven, primordial creation). 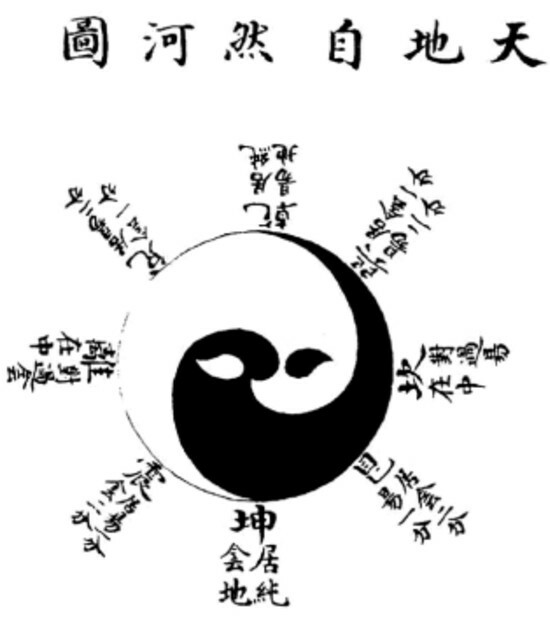 The above pulsations, mathematically, refers to the nature of YIN and YANG and the science of Bagua or Pa Kua i.e. the eight fundamental principals of reality. The eight fundamental principals of reality are echoed in the Khemunu cosmogony and the denderah calendar of ancient TEMARI (Temari = 66 = 39 + 27). 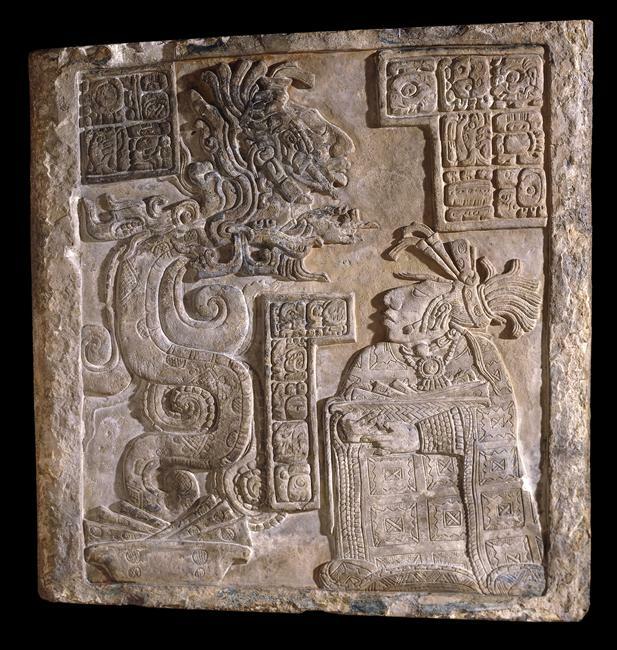 Question: What is the worldview of the Tutul Xiu or Amaru Chan (Olmec)? The principal reality that 13 heavens and 9 Hells reciprocate in space, matter, and time (SMAT). The earth is at the heart of it all. "After 13 Heavens of waning choice, and 9 Hells of waxing doom, the Tree of Life shall blossom with a fruit never before known in the creation, and that fruit shall be the New Spirit of Men (13 x 9)." Question: What is the "New Spirit of Men"? The "New Spirit of Men" is the CHI or renewed life-force. This renewed life-force is operative and not speculative: Energy = MC^2 = 13 x 9 = 117 = NUWAUPU = DIVINE LOVE. The word NUWAUPU (9 x 13) can be traced to the Aramaic-Hebrew word NUWB, which means FRUIT. When calibrated using medu neter, its written as WBN or WBNW (wabanoo, wabanu or nu.wa.ba) i.e. to rise in radiance...I am there which is here. Last edited by Pa Neter Ra; at 05:44 PM.. Question: What other sign(s) is associated with the “New Spirit of Men”? One learns that in 1913, Noble Drew Ali founded the Moorish Holy Temple of Science (Moorish Science Temple of America) in New Jersey, which was originally known amongst the Lenni Lenabe, The Original People, The Grandfathers, as Scheyichbi (Lenabehoking). 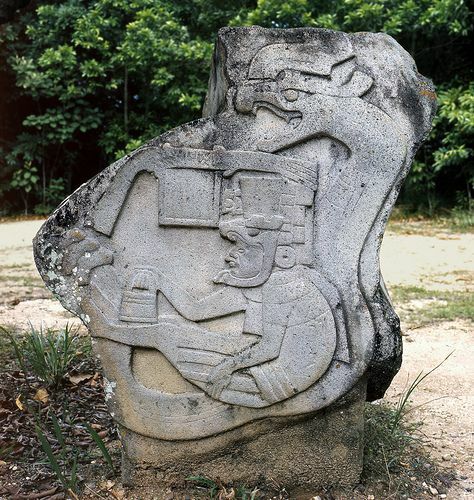 From that point of reference in SMAT on planet Earth, the year has a mathematical foundation in the worldview of the Olmec (Amaru Chan); that is the multiplicative identity: 1 x 9 x 13 = 117. The year 1913 establishes not only the advent of the foundation of peace (Jerusalem, Yeru Shalam) in North America, but also that moment ushered in the teachings of peace (Yarah Shalam). Noble Drew Ali brought The Good Word, Good News, for the upliftment of fallen humanity, which is righteousness in action; bringing Love, Truth, Peace, Freedom, and Justice. Question: Can you elaborate more about “the upliftment of fallen humanity”? Fallen humanity is Woman. The upliftment of fallen humanity is Sound Right Reason in Action. 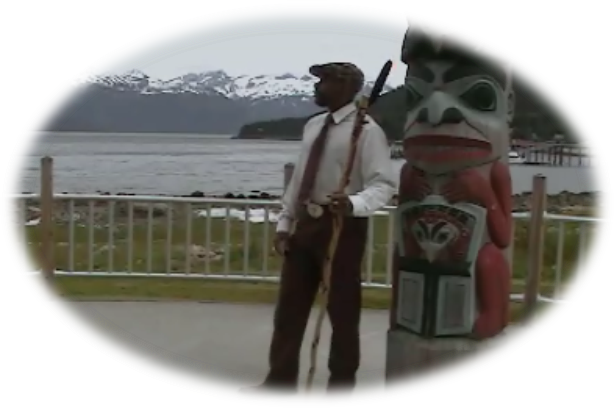 Long, long ago, on Turtle Island, a man embodied with the Mind of the Master of Life had a message to end wars amongst clans and tribes east and west. His message was simple: “love one another and live together in peace.” This was indeed a good message to a woman who took hold of the good word and embraced it. Hence, it was a Woman whom became the first person to accept/ratify the Great Peace. She became the New Mind (new spirit of men), the Mother of Nations, the steward of the Great Peace and all the good tidings of peace and power that it has to offer for the upliftment (waban) of fallen humanity. Question: What is the Great Peace? The Great Peace is righteousness in action (Justice), a sound mind in a sound body, and increased spiritual power in congruence with the Will of the Master of Life (Great Spirit). For “the thoughts of Allah are the everlasting of the past unto the never-ending days to come. And so is man, the spirit-man” -The Holy Koran of the Moorish Holy Temple of Science, Ch. I, The Creation and Fall of Man. May the Great Spirit (Kache Manitou) continue to breathe life into our good thoughts! Question: What is Sound Right Reason? The first, belief, is lost in faith. The second, faith, is then lost in fruition. The last, fruition, man is redeemed (harvested), lost in Allah. Man, as with every other thought of Allah is liken to a seed that holds within itself the attributes of Allah (arm, leg, leg, arm, head); just as the seed of any vegetal on planet Earth (Heart) holds within its hull the botanical characteristics of that plant. Allah = 34 = 3+4 = 7. Man = 28 = 2+8 = 10 = 1+0 = 1 (unity, multiplication identity). In Friendship, Love, and Peace. Last edited by Pa Neter Ra; at 05:33 PM.. Question: What is the link between Man and Allah? In the Holy Qura’an, the sustainer (rabbuka) created a viceregent or steward (khalifah) on the Earth, called Adam, whom was taught the names of all things (2:30). Adam (revered man), as we learn, is the viceregent or divinely connected (silsilah) thought of the sustainer in quan-tum human form. Adam is the universal man, a revered human being, and progenitor of humanity. In science, an Atom is the smallest constituent unit of ordinary matter that has the properties of a chemical element. 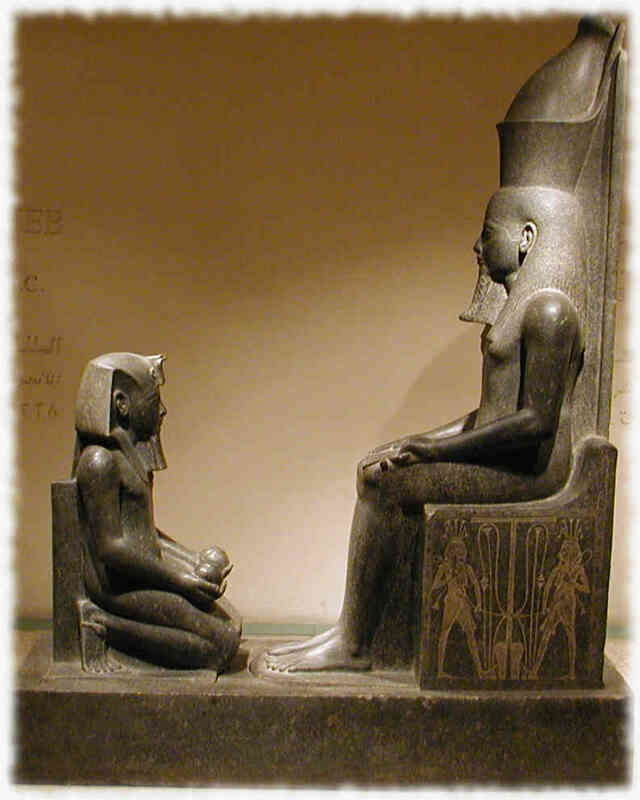 In cosmology, Atum, Atem, Atam is the “lord of totality.” The words Adam, Atom, and Atem are connected to the medu neter verb TEM or TUM. The verb has either a positive or negative connotation. Positively speaking, Tem means “accomplished one/ultimate truth.” Negatively speaking, Tem means "the one who did not come to being yet/abstract truth.” In sufism (tasawwuf), following the succession of the spiritual stations: shariah, tariqah, and haqiqah is marifah, which is the "unseen center" or “abstract center” of the ultimate truth (haqiqah). Question: What is the idea behind: Allah = Man = Circle Seven? 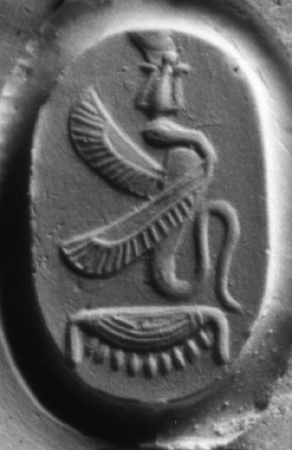 The circle is the geometrical symbol of the complete man called Ra Atum or Atum-Re. Seven is the number of the complete man. The LOGOS is the complete word that creates (Brahma), destroys (Shiva) and conserves (Vishnu). Christ is the Master Hebrew (avatar), the Logos of the pure one, the circle of humanity, the seven of space, matter, and time (SMAT). For it had been said, for it had been written, so it had been done, the LOGOS:CIRCLE:SEVEN and so Yashua' was renown. Last edited by Pa Neter Ra; at 05:26 PM.. Question: You state that the logos is the complete word that creates (Brahma), destroys (Shiva), and conserves (Vishnu). Is this the divine trinity? According to Hinduism, the Trimurti is the three forms of supreme divinity in which the cosmic functions of creation, conservation, and destruction are personified as a triad of deities. According to Physics, the law of conservation of energy expresses the idea that the total energy of an isolated system remains constant over space, matter, and time (SMAT). In other words, energy can neither be created (Brahama) nor destroyed (Shiva); but rather, it can only be transformed from one form to another (Vishnu). Special relativity demonstrates that mass/matter has the potential to be converted to energy and vice versa by the symbolic formula E = MC^2. Hence, mass and energy are conserved. I express the symbolic formula E = MC^2 as MC^2 = 13 x 9 = 117, which is the alpha-numeric value for NUWAUPU. 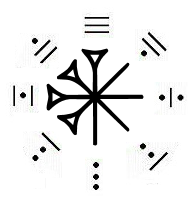 Nuwaupu is the science of Sound Right Reason having to do with the nature of implosion and expansion, rising in radiance (wabanoo or wapanoo), and the equation nine to the ninth power of nine (9^9^9). Question: What is the equation nine to the ninth power of nine? Nuwaupu also means to communicate or to convey a message and so there must be a communicator and a hearer of the message. 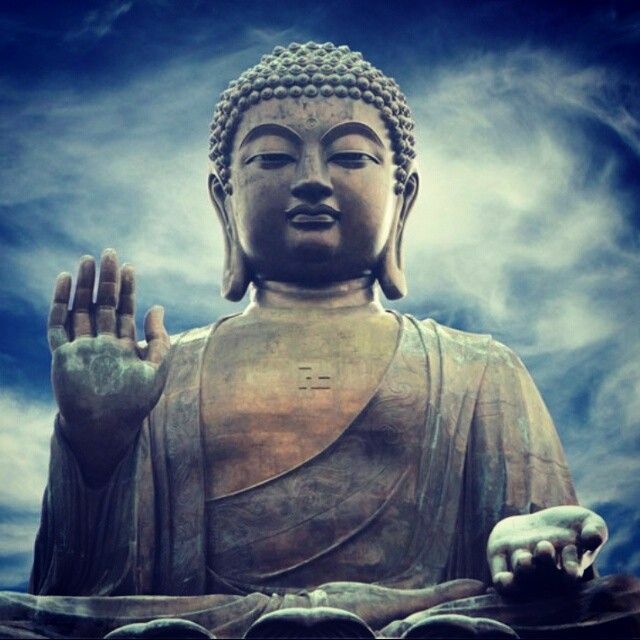 The message is life; and the listener is existence or the continuation of life (nuwn). In science, this is known as time translation symmetry or as I like to call it space, matter, and time (SMAT) translation symmetry. An example of this symmetry is found in the answer to the equation 9^9^9, which was solved and revealed to the world over by Nebu: Atun-Re in A.D. 1999 and A.D. 2000 in that order in SMAT. The answer to the equation 9^9^9 has a 78-digit sequence partitioned in groups of three. As the seeker approaches the center, the two center seeking values are 283 and 103. The sum is 283 + 103 = 386. This composite value is not only a composite for light (3 x 8 x 6 = 144), the catalytic agent in the mass-energy equation as C squared, but also it is the gematria for YASHUA’. Question: What does Yashua’ signify? Law of Conservation of Mass and Energy, the divine triad in supreme mathematics: 283, 193, 103. Question: Can you expound on the mathematical triad: 283, 193 and 103? Nine to the ninth power of nine, also known as the Nubian Number (The Nubian Mind), mathematically prepares the mind for the engagement with logic and ultimately self-renewal (wbn). Question: Will you define “self-renewal”? Self-Renewal is defying Logic (wapanoo). Logic can be compared to Gravity (g). Gravity is ensnared light (MC^2). Question: Is the planet earth a prison? Many people do not know that they have been imprisoned until after that they have broken out (E). Last edited by Pa Neter Ra; at 10:18 AM.. Question: What event signaled the “self-renewal”? The event that signal “self-renewal” was the revealing of the answer to the equation nine to the ninth power of nine (9^9^9). 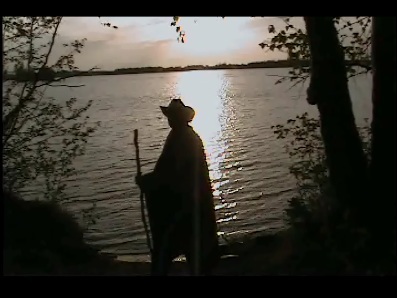 The event happened during the spring equinox of the Gregorian reckoning system AD 1999 - 2000. This event benchmarked a royal jubilee. Question: Why the spring equinox? The spring equinox is one of the four winds (The East Wind). The spring equinox is the moment when your Sun is halfway between its southernmost point of travel and its northernmost point relative to an observer on planet Earth. The spring equinox initiates the Sun cycle called WABUN. Wabun is the spirit keeper of the east wind. On turtle island, the totem of wabun is the Golden Eagle and the color of this direction is RED, which signifies vital energy. 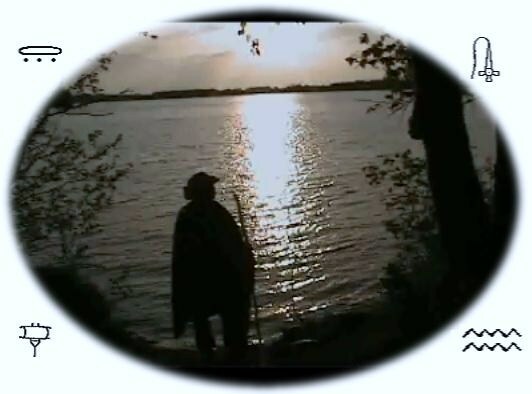 The people or nation of wabun are known as Wabanaki, i.e. the people of the first light, people of the dawn, Easteners. The word Waban or Wapan can mean “light” or “white” and hence Wabanaki can mean “White Nation” or “White People” as well. The Algonquian word waban can be traced to the metu neter word wbn (weben) or wbnw (wabanoo), which means to “rise in radiance.” The word weben is associated with the heron and the word bnnw (bannoo), which is considered a manifestation of the resurrected Asar (Osiris) who dons the white atef crown or red sun disk. Referencing Moorish Science, White means purity, Purity means God, and God means the Ruler of the Land. Last edited by Pa Neter Ra; at 05:54 PM..